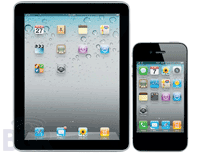 If you have just purchased an iOS device such as an iPhone, iPad or iPod Touch and want to get up to speed quickly and efficiently, then out new 2 hour iOS 101 class is ideal for you. We'll quickly cover the basics and give you lots of useful tips and tricks as well as important techniques for backing up and syncing data. Course details can be found here. The cost of the course is just $90 inc GST per person. Spaces are limited though so book early to avoid disappointment. We have sessions running across New Zealand in May in Auckland, Wellington, Christchurch, Dunedin and Hamilton. You can see the dates and make a booking here.